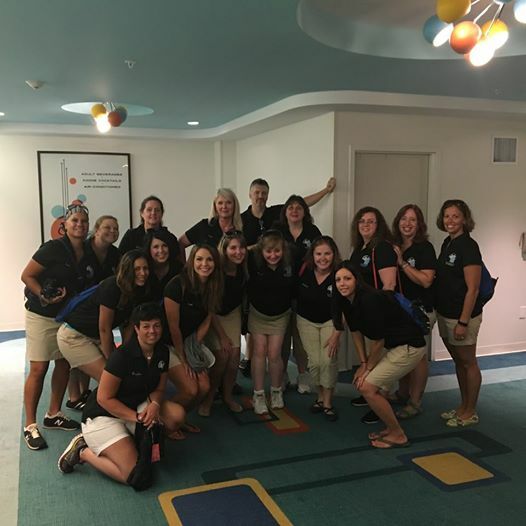 A group of agents from Kingdom Konsultant Travel recently stayed at Loews Royal Pacific Hotel in the heart of the Universal Orlando Resort for some expert training and a weekend of fun! We got to tour each resort, see inside the rooms, and learn first-hand the advantages of staying on property. 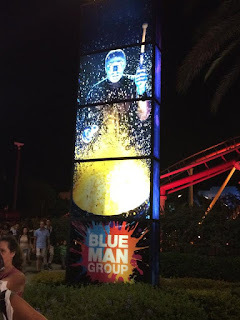 We quickly learned that Universal Studios and Islands of Adventure were much more than just theme parks. The Resort has some amazing attractions, gorgeous hotel properties (including the brand new Sapphire Falls Resort) and delicious restaurants! 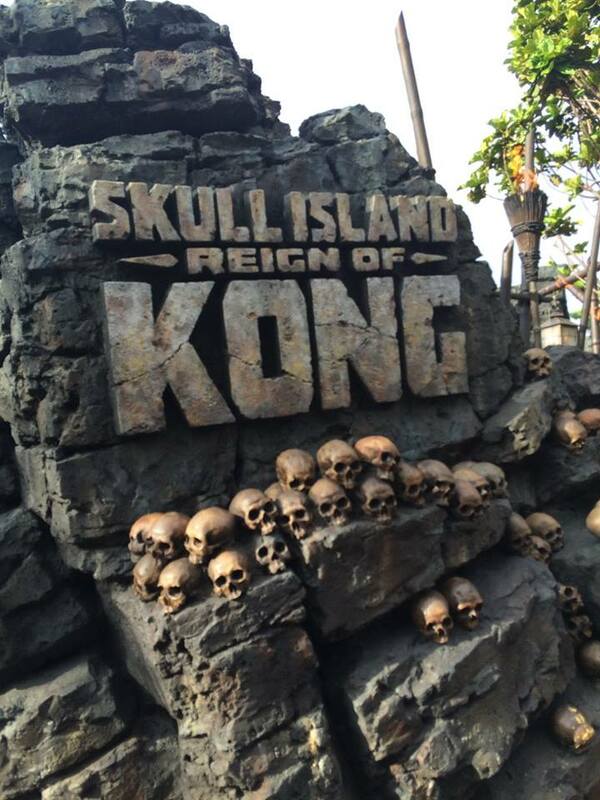 With the new Skull Island: Reign of Kong ride now open and Volcano Bay water park being built, Universal is the hottest new vacation destination for families, and our agents are experts! The team has compiled a list of 10 must-do tips for our readers on how to maximize your Universal Orlando vacation. Prime Value – Universal's Cabana Bay Beach Resort, a stylish resort with family suites and rooms designed for fun and affordability. 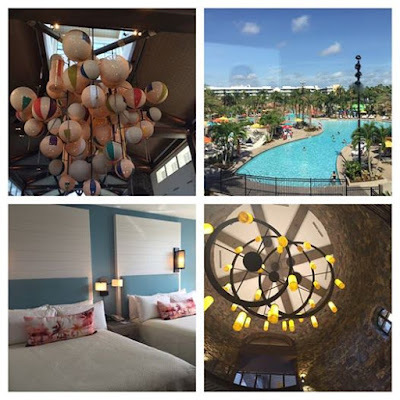 Preferred – Loews Sapphire Falls Resort and Loews Royal Pacific Resort are relaxing getaways offering the perfect blend of resort conveniences and amenities. Premier – Beautiful escapes offering distinguished service, spacious accommodations, and one-of-a-kind experiences only at the Hard Rock Hotel® and Loews Portofino Bay Hotel. 10. Express Pass- Universal's Express Pass let's you skip the regular line for many attractions. It comes in two forms, Unlimited, and once per ride. You can add the Express Pass or Express Pass Unlimited to your tickets. If you stay on-site at one of Universal's 3 "legacy" hotels, you get the Express Pass free with your stay! The legacy hotels include Hard Rock Hotel, Portofino Bay, and Royal Pacific. Cabana Bay Beach Resort and Sapphire Falls do not offer it at this time. We highly recommend having it, especially with kids. It can't be used for the two Harry Potter attractions, but those can be covered under Early Entry. 9. 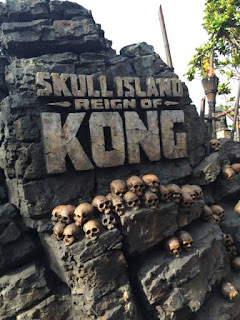 Early Entry- Early Entry is a privilege only for guests staying at a Universal Resort hotel. You can enter the Parks one hour before opening, and ride the big attractions such as Harry Potter and the Forbidden Journey before the lines get very long. It was so nice being there at Early Entry, hardly anybody in the parks makes for great photos! 8. 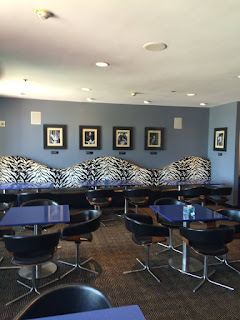 Meal Plan- Purchasing either the Quick Service meal plan or the Table Service plan can save you a lot of money on food in the parks. You can add it on to your package, or to tickets only. There are some great quick service restaurants in the parks such as the Harry Potter themed Three Broomsticks at Islands of Adventure and The Leaky Cauldron at Universal Studios. 7. Water Taxis- If you are staying on Universal property at Hard Rock Hotel, Royal Pacific Resort, or Portofino Bay Hotel, the water taxis are an excellent way to get back and forth from your hotel to Universal Studios, Islands of Adventure, or CityWalk. They take you to CityWalk and then you can walk into the desired Park of choice, but both Parks are a very short walking distance from where the boat dock is located at CityWalk. You will go through a security check point before boarding the boat, so make sure to leave a few minutes for that. If you are staying at Sapphire Falls or Cabana Bay, the water taxis do not accommodate these resorts. Everything is so close together, you can either walk to the parks, or take the shuttle bus. 6. 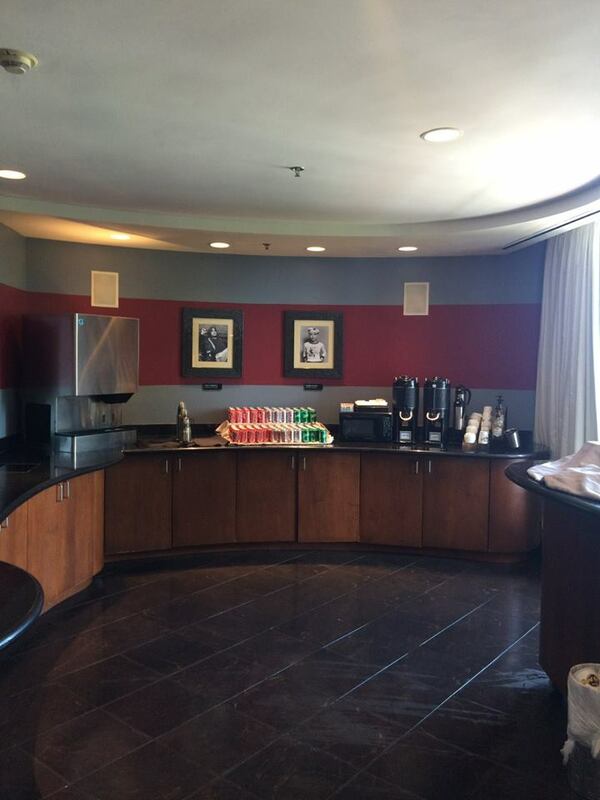 Club Level- Upgrade your room to Club Level to enjoy the benefit of snacks and drinks in the lounge. 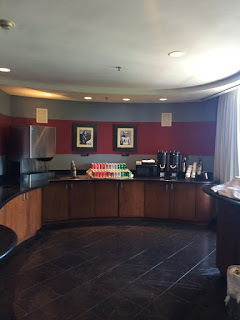 The Kingdom Konsultant agents loved utilizing the Club Level lounge for coffee and breakfast, and evening snacks. 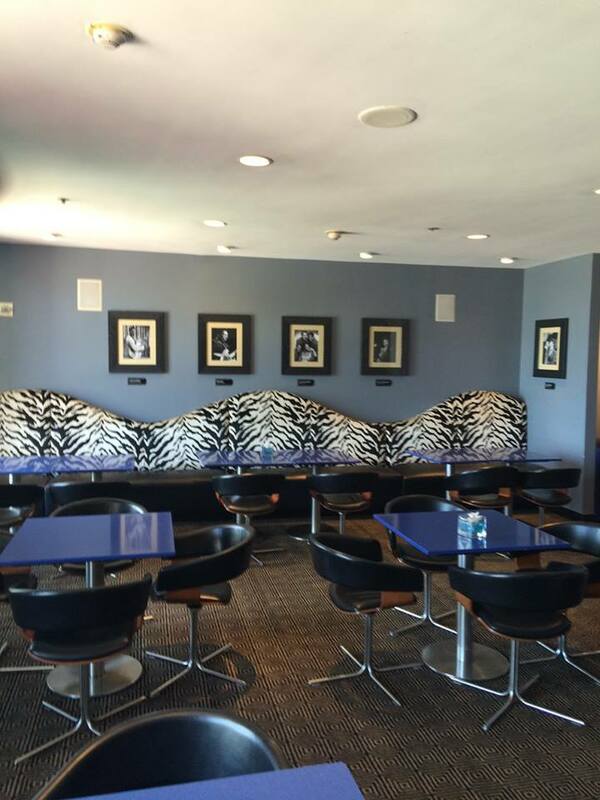 The concierge staff will answer any of your questions, give you bottled water, and even print your boarding passes for you. We loved their fresh baked cinnamon rolls! Also during breakfast hours there were bagels, danishes, croissants, hard-boiled eggs, yogurt, and fresh fruit among other things. At night there were small appetizers and desserts such as cookies and cheesecakes. 5. Park Lockers and Metal Detectors- Each major thrill ride has free "digital" lockers located conveniently outside the entrance. They require ALL belongings to be stored in the free lockers, including cell phones, cameras and sunglasses on some attractions. 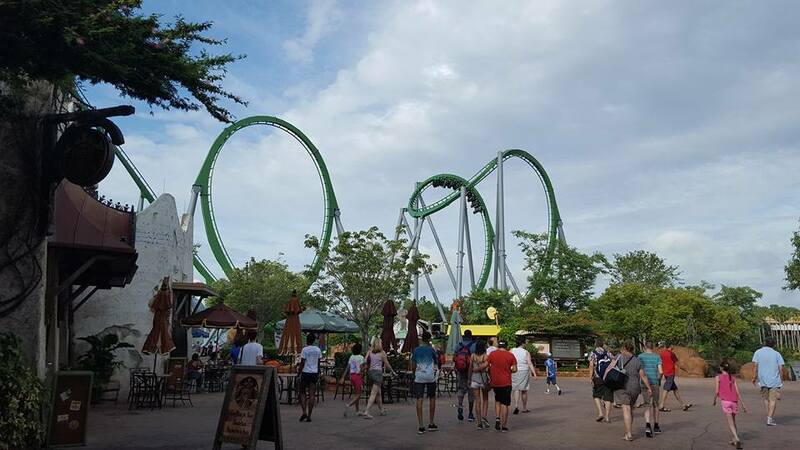 The large rollercoasters such as Incredible Hulk, Dragon Challenge, and Rip Ride Rock-it have metal detectors to ensure the safety of guests with a prosthetic, pacemaker, or joint replacement. Guests cannot ride if they set off the detectors. It's much easier and faster if you don't carry a purse, and just store your ticket, credit card, and dining card in a neck lanyard so you don't have to use a locker. 4. Blue Man Group- We can all agree that Blue Man Group was an incredible, immersive experience and that adults and kids alike would love this show! It was lively, fun, and unique. It's like a mix between a comedy show, live concert, and a dance party. You can add the show tickets onto your park tickets when booking. We highly recommend this unforgettable show. 3. 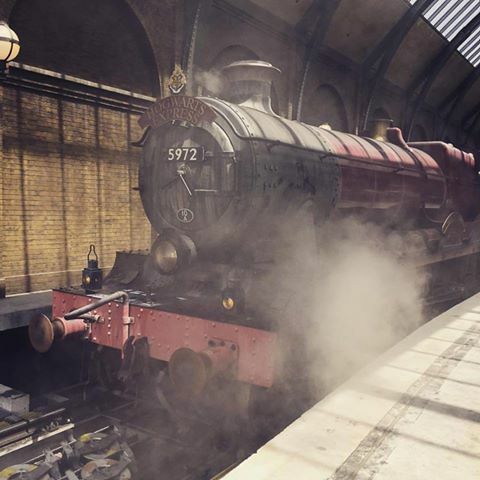 Hogwarts Express- The two parks are only connected by the Harry Potter train, the Hogwarts Express. The train takes "students" between Diagon Alley and Hogsmeade. You can only board the train with a Park-to-Park ticket as you exit the train in a different park. If you have a base ticket (one park per day) you cannot ride the Hogwarts Express. The ride itself is so impressive! It's very authentic to the Harry Potter movies. The ride experience is different each way too! 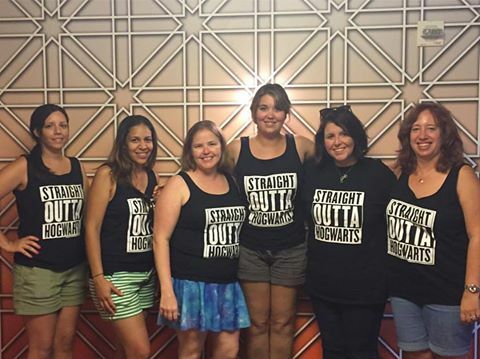 Ask us about booking the Harry Potter Annual Celebration package. 2. CityWalk- Universal's CityWalk has so many shops and restaurants to check out. A favorite of the KK agents was Cowfish. 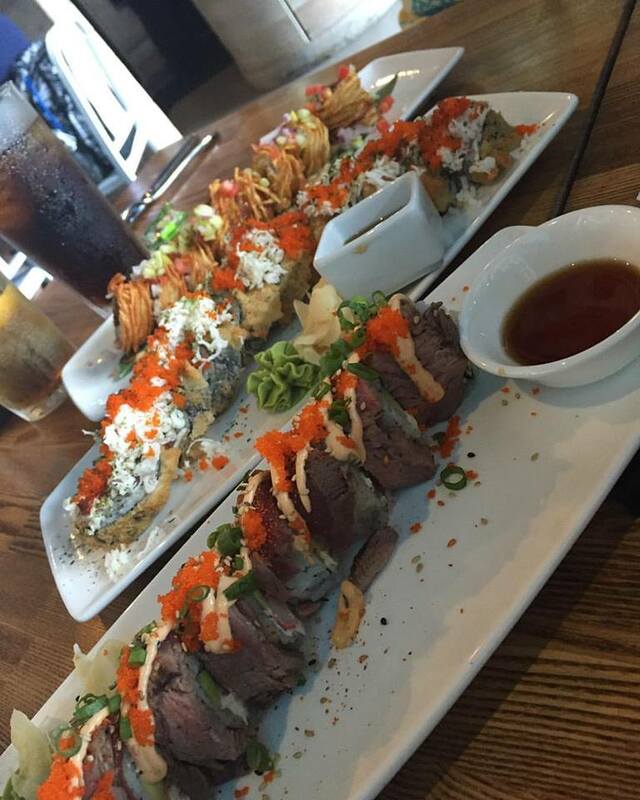 It offers many varieties of burgers and sushi. We also enjoyed Jimmy Buffett's Margaritaville. Although the Chocolate Emporium wasn't open yet, it looks like so much fun! CityWalk has so many unique stores, booths, and vendors. It also has street performers and a DJ to liven up the atmosphere. It's open later than the parks, so save it for nighttime. 1. Wantilan Luau- If you have ever wanted to experience a Hawaiian Luau, complete with a fire dancer and a pig roast, you have to book the Wantilan Luau at the Royal Pacific Resort! 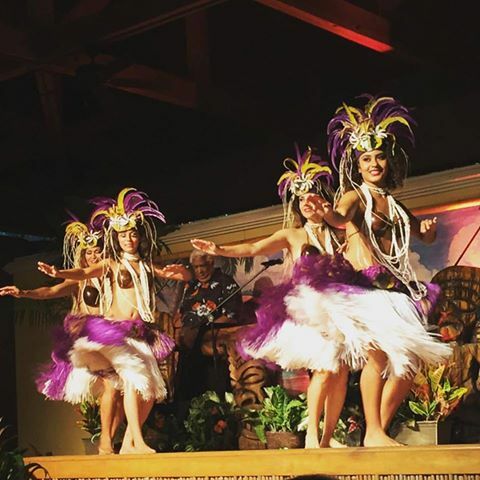 The hula dancers and live band put on a fun and authentic show while you enjoy a buffet of traditional foods from Polynesian and Hawaiian culture. Some of our favorite dishes were the grilled salmon, coconut rice, sesame vegetables, roast pork, and of course, the unlimited Mai Tais! The luau can be booked with your tickets or hotel package. 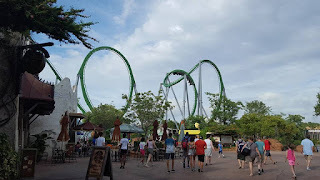 Universal Orlando Resort far exceeded my expectations. I no longer regard it as an add-on trip to Walt Disney World, but a vacation in itself! There is so much to see and do here that a 4-day stay wasn't long enough. I will be back soon to check out the all new Volcano Bay Water Park and Toothsome's Chocolate Emporium! Contact your Kingdom Konsutlant agent for more information or book your package at vacations@kingdomkonsultant.com.